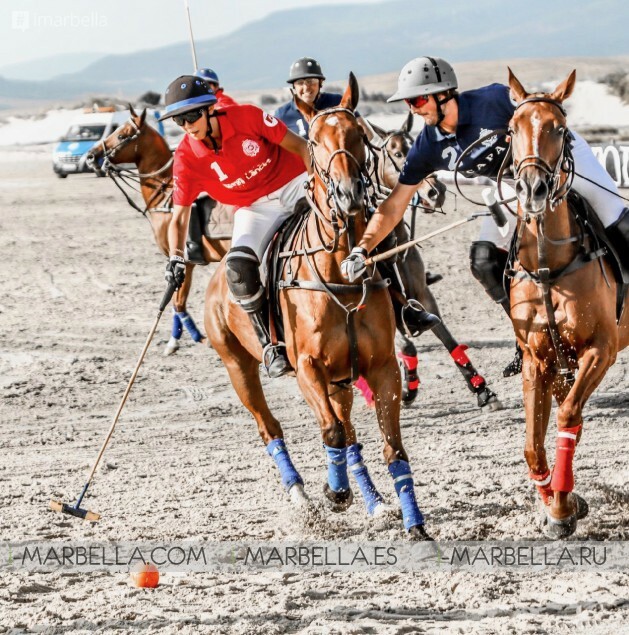 Beach Polo arrived again thanks to Isabel de Borbón and Tarifa Beach Polo 2018, An exiting Polo competition that is being celebrated annually in the beautiful white sandy beach of 'Playa los Lances' located in Andalucía, Spain. This year the weekend between September 15th and 16th, 2018 have seen the PERLAGE team claim the trophy. Playa Los Lances hosted this weekend the fifth edition of the “Beach Polo Rate”. Where four international teams competed in the tournament that started during the afternoon on Saturday. The sandy beach of Los Lances and the coastal landscape made of Tarifa Beach Polo an exceptional sport to enjoy the beach polo. 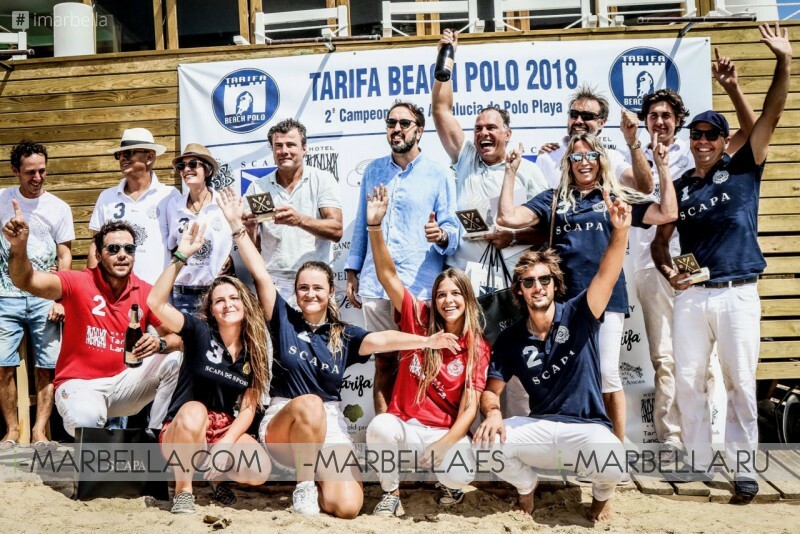 Tarifa Beach Polo Cup 2018 took place again at the very popular Playa los Lances. Usually known as the mecca for kite and windsurfing, the white sands of Tarifa have been discovered by polo enthusiasts as the optimum location for beach polo. Isabel de Borbón, who is the official Beach Polo organizer has celebrated this year the 5th edition of this competition at Playa Los Lances, a unique setting to practice and promote beach polo across Europe. We can definitely confirm that her hard work and passion for horses pay off since this edition has been a total success. In total, four international polo teams participated in this fifth edition. The semifinals and final took place during the morning time, on Sunday. Where the Perlage team won the victory in the finals. Congratulations to the PERLAGE Winning Team Champions. 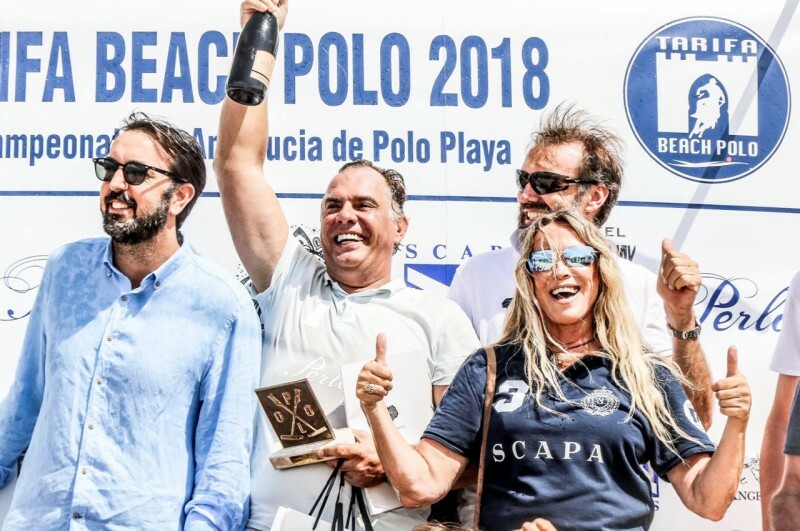 This new edition of the “Beach Polo Rate” counted with the collaboration of the Periodic of Sotogrande, OM Beach Club Tarifa, Hotel Tarifa Lances, Scapa Sports, the Andalusian Federation of Polo and the support of the City Council of Tarifa.